There are lots of functionalities facilitates by the Microsoft to make data transactions much easier. One of which is import service in MS Office 365. These can help migrate multiple Outlook data files (.pst) directly to the Office 365 Exchange online mailboxes. When Outlook users start using Office 365 program, then they also have to export their old PST files to their Office 365 mailboxes. Office 365 is supreme cloud-based service that performs all operations instantly. So, most of the user try to migrate PST to Office 365 without Outlook program. Here, we come up with an appropriate solution to migrate from PST to Office 365 without Outlook. In order to this, both manual and professional approaches are available. You just need to go through the article and steps that will help you to perform the migration procedure effectively. I have several PST files that I store on my hard disk. It has become very tiresome to handle those, so I decided to migrate the PST files to my Office 365 account. I know how to do it with the help of network upload but there is a large number of PST files and performing this method for so many PST files is very time taking. So, please provide me with an appropriate method to migrate PST to Office 365 in minimum possible time. Any help would be appreciated. Thanks. Firstly, a user has to copy and store the PST file to some storage device such as an encrypted hard drive. Now, migrate the drive physically to Microsoft. 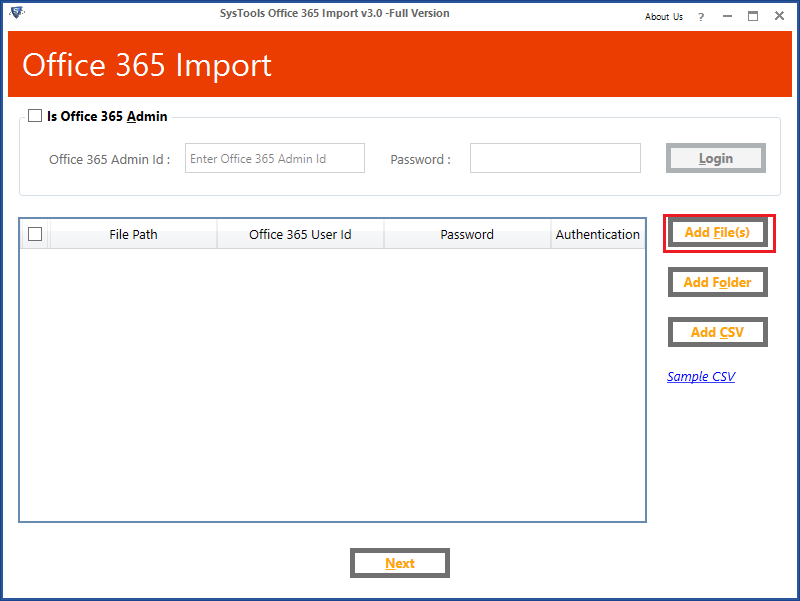 Here, the user can use the import service of Office 365, which will import the data to the O365 account successfully. The difficulty to identify the location of the saved PST file. The concern of Internet Bandwidth. Riddle in centralizing and collecting all Outlook PST data files. The user can implement the import procedure from a PST file to Office 365 with the above-mentioned manual method. Sometimes, the manual way takes too much time to import large sized PST file. Moreover, it is unable to perform the conversion in an effective manner it may lead to data loss. So, it is recommended to opt a third-party tool such as “Office 365 Import software” . It is capable enough to import all the data of the mailboxes like emails, calendars, contacts, MS Office 365 without Outlook. Complete PST data Migration like emails, contacts etc. 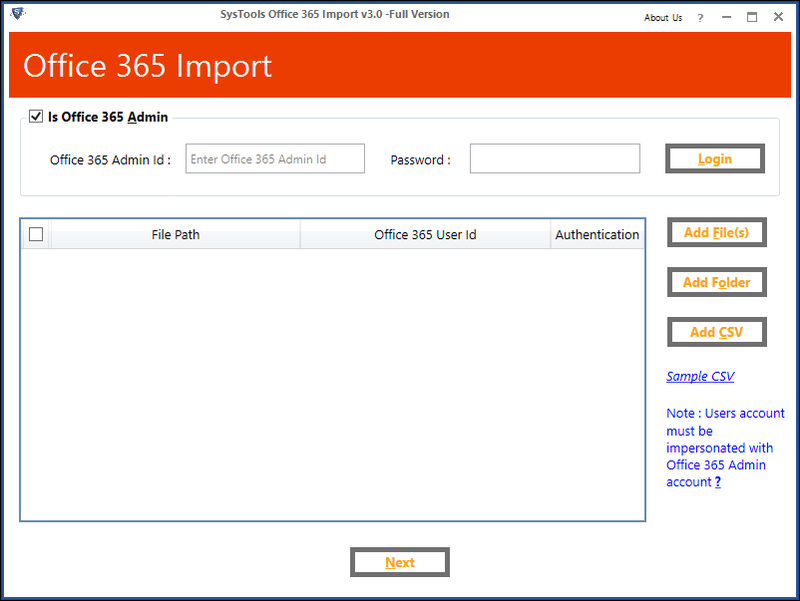 Initially, download and install the Office 365 Import tool and launch the application into your local machine. Here, you have to choose “Add File or Add Folder” to move several PST files into Office 365 mailbox. Additionally, you can add user id and password for a single user account. Once you browse the Outlook PST file after that, you need to choose “File Categories” and “Apply Date” Filter Options. Apart from this, you can opt for incremental import, attach Outlook PST file as the advanced filter option. 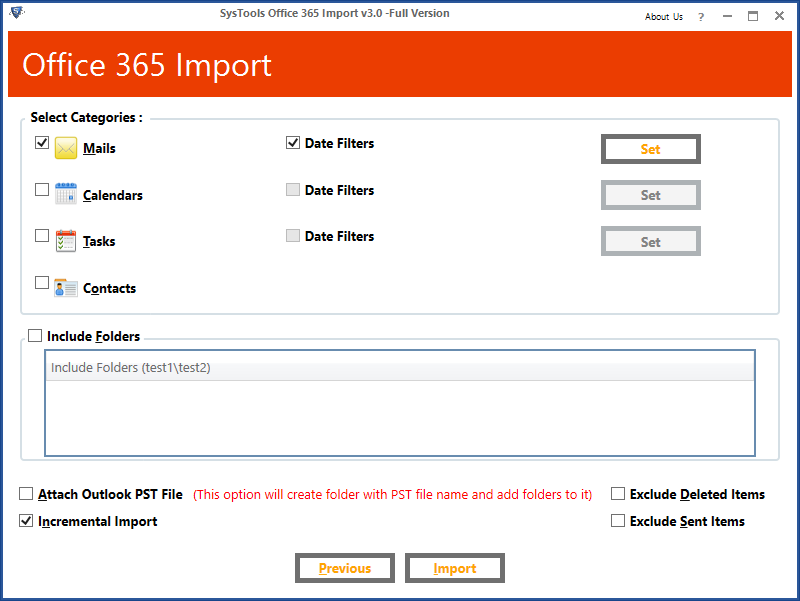 Finally, Office 365 importer software successfully import PST file to Office 365 mailbox. This article emphasizes the methods to migrate PST to Office 365 account. Though the manual procedure is time-consuming and sometimes may fail to give an appropriate and desired resultant. 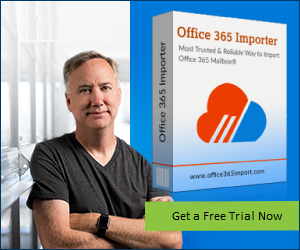 It is recommended to download and install Office 365 Import software by following the above-outlined steps as discussed. 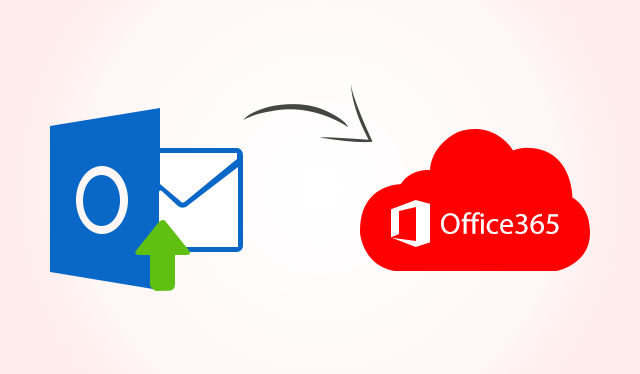 It permits to transfer PST to Office 365 without losing a bit of data. It has Include folders option which offers to transfer only specific folders. Apart from that, it is also compatible with all Microsoft Outlook versions.